Functional Products for a Zero Waste Lifestyle! FENIGO is a Canadian distributor of high-quality zero waste lifestyle products (reusable straws, produce bags, designer shopping bags, bento boxes, portable cutlery, water bottles, etc.). We collaborate with many reputable companies (ChicoBags, BlueAvocado, Dabbawalla Bags, EcoVessel, Bentgo, iLids, Light My Fire, etc.). We have been selling directly to consumers via our website and our shop in Waterloo since 2008. This experience has given us an opportunity to learn what products consumers are seeking. Also, our long-standing positive relationships with our suppliers have allowed to evolve our business into one that distributes our favourite brands to retail stores across Canada. We still have a small, local lunchbox + zero waste lifestyle store dedicated to inspiring others to choose sustainable products every day. We are a small company and we take pride in our exceptional personal customer service, competitive prices and one of the greatest selections of zero waste lifestyle products in Canada! FENIGO.com was launched as an online store in 2008, straight out of the founder’s home. Jana Campbell believed in the movement towards reducing unnecessary waste and strived hard to provide the products she saw families and friends needed. 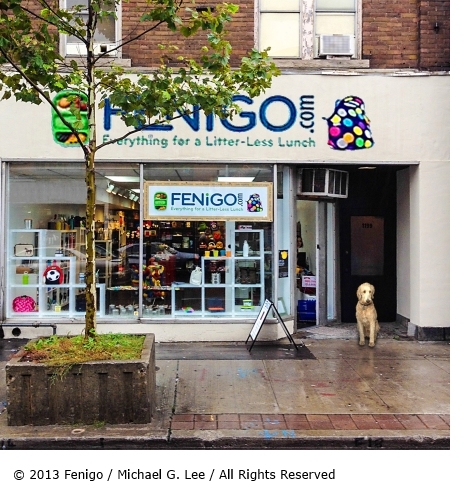 In 2011 FENIGO.com grew into more than Jana could do in her home and so the first brick-and-mortar location in Waterloo, Ontario, Canada was born! In 2015, we began distributing to stores across Canada. At FENIGO, the minor details matter because we believe that every small step we take to preserve our environment makes a difference. Our store is powered with 100% green electricity (a.k.a. bullfrogpowered). We wholeheartedly practice the 3Rs (reduce, reuse, recycle) and do what we can to minimize and reuse packaging while ensuring that products are adequately protected and arrive at your doorstep in perfect condition. We are thrilled that Canadians are joining the#lifewithoutwaste movement! In striving to offer our customers the best, we only source products that are of high quality and are built to last. All of the products that we sell are BPA-, BPS-, PVC-, Phthalate-, and Lead-free. You can be confident that everything available at FENIGO is safe for your family and loved ones.